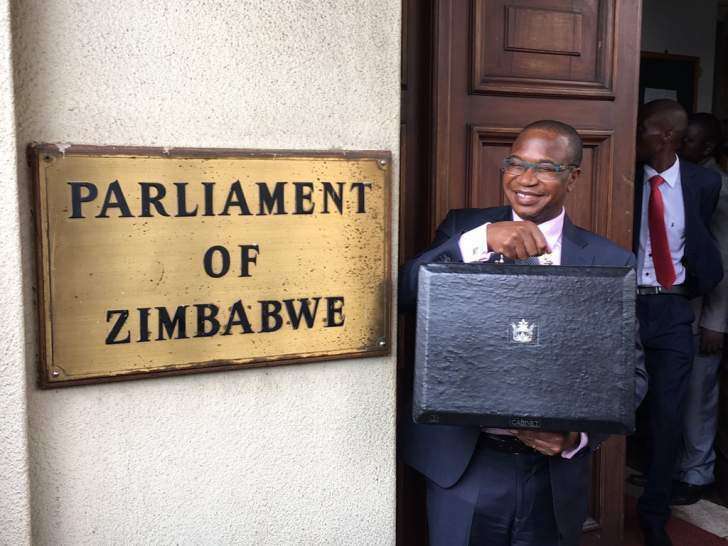 Zimbabwe's budget deficit averages $2.3 billion for the past 3 years. Government expenditure is pegged at $8.2 billion and the budget deficit forecast is $1.6 billion for 2019. For the past three years, economic and business analysts have hailed all the budget presentations as hitting the right codes for economic development. One particular aspect that has been consistent in all the budget presentations is cutting government expenditure and channeling more resources to capital development especially health care, basic amenities, energy, and roads and communication infrastructure. In order to control runaway government expenditure in the coming fiscal year, treasury proposed new reforms such as the 5% reduction in basic salaries for senior civil servants, limiting the 13th cheque in civil service to basic salary and introduction of biometric registers so as to weed out ghost workers. As with all the previous budget statements; aspects such as rationalization of foreign missions, retirement of youth officers, privatization of State Entities and Parastatals (SEPs) and effective management of the government's vehicle fleet also found their way in the flowery 2019 Budget Presentation. Fiscal expenditure in the past 3 years shows that the government priorities are on its consumption and wage bill funding which have no meaningful productive value to the local economy. The Zimbabwean government lives a high life spending a fortune on foreign trip allowances for senior civil servants, importing luxury vehicles from 3rd world countries, medical treatment in posh medical facilities from Singapore, India and South Africa. Not to be outdone are luxury hotel bookings for various entourages, multiple vehicle fuel allocations, university packages abroad and hiring of foreign airlines. The irony about these lifestyle related costs is that the government shuns the local suppliers who look up to the tax collector to give back to the economy thereby creating the much needed employment and growing the tax base. The scapegoat is that the local supplier does not meet the quality needed and the key question will be, who will develop that quality when the government sees greener pastures in foreign lands? The pain with government expenditure in Zimbabwe is that after taxing the local producer, revenues are largely used to create jobs in other countries for goods and services that can be procured locally. It has become public knowledge even to the layman on the street that excessive non-essential expenditure is where we are failing as a nation. However it seems there is more to austerity which makes the word easy on the tongue but mammoth in execution. The major constraint about curtailing government expenditure is on the compensation of civil servants who might be affected by any retrenchment exercise. The exact head count in the civil service is not known, however the treasury department pointed to an increase of employees from 315 000 in 2009 to 554 000 as of March 2015. The treasury recently pointed out that if the government was to retrench an employee who has been in the civil service for 20 years and earns $1 500 per month, it would cost at least $100 000 in terminal benefits. Retrenchment therefore becomes a costly exercise in the short term and is easier avoided. What makes it worse is that recruitment and promotions in the civil service never stop even after announcing a recruitment and promotions freeze in August 2016. It seems several government departments do their recruitment and promotions autonomously without express authority. Another key constraint in cutting government expenditure on non-essential outflows is that it affects leadership popularity. Austerity often comes with pain to the tax payer and government staffers. Popularity in politics is quite key especially in the run up to major elections. This phenomenon is not limited to Zimbabwe only but extends to other regional peers and other third world blocks such as the European Union (EU) countries where governments are sweating to control civil service expenditure so as to manage public debt. Austerity measures have often been met with strikes, demonstrations and conflict that brings business to a standstill. There was serious conflict in the Zimbabwean government in September 2016 after calls to remove bonus payments resulted in massive outcry from civil servants who felt that they are entitled to the 13th cheque as their earnings barely covered their needs. A populist move carried the day as the government ended up awarding bonuses despite strong objections from treasury. Though the devil lies in the detail of how much exactly is spent in each cost center by the government, it is obvious that the government will continue to borrow in the domestic market to plug its budget deficit hole. This therefore means public debt is expected to increase significantly from the $17.69 billion it was in August 2018. The Zimbabwean economy can hardly grow if 90% of its budget goes towards civil service expenditure and resources are committed to runaway consumption instead of foreign debt repayment or capital developments. Austerity has never been a favorite in government world over but Zimbabwe desperately needs implementation of all the reforms that curtail government expenditure. Victor Bhoroma is business and economic analyst with expertise in business management aspects. He is a marketer by profession and holds an MBA from the University of Zimbabwe (UZ). For feedback, mail him on vbhoroma@gmail.com or Skype: victor.bhoroma1.